With only a stroll to the fabulous Marina Mirage and the trendy Main Beach Alfresco Dining experience. "Seaworld," one of the Gold Coast's major holiday attractions is only a 5 minute drive away. 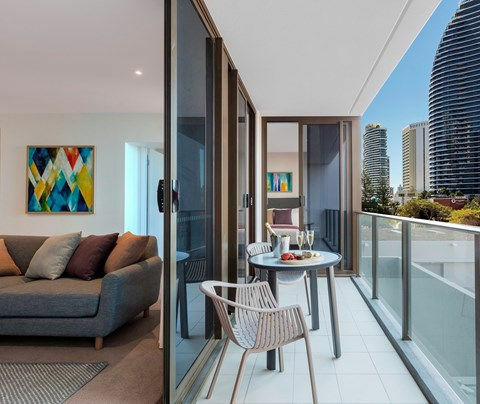 Relax with your family or friends and enjoy the stunning views from your balcony of Main Beach's popular patrolled beach, or walk into Surfers Paradise at your leisure. to secure your booking quoting your Oceanroad Voucher number. 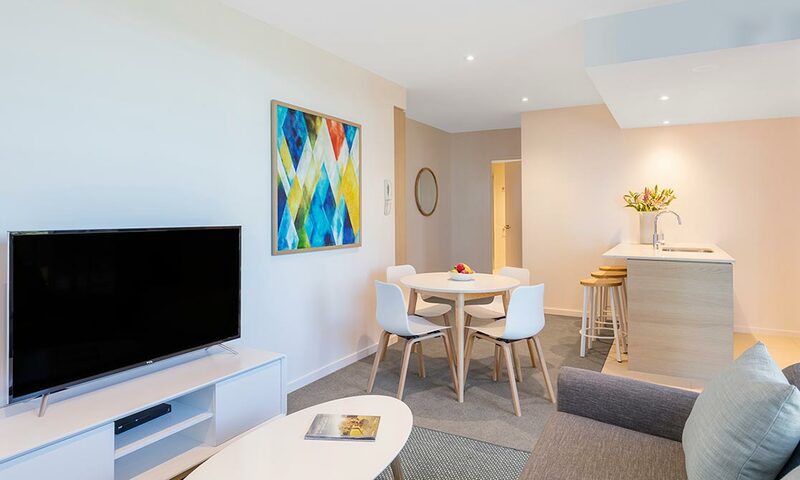 Centrally located opposite the sandy, golden beach at Coolangatta and only minutes from the Coolangatta airport and major Gold Coast attractions, Oaks Calypso Plaza Resort is a laid-back holiday destination offering all the appeal of a family-oriented resort. The property combines 4.5 star accommodation with convenient family friendly facilities including a huge heated lagoon pool set amid lush tropical gardens, games room, spa, sauna, children's wading pool, fully-equipped gym and secure undercover parking. Sit back and relax on your private, sheltered balcony and enjoy the gentle sea breezes and panoramic views across the ocean, or out to the hinterland or north to Surfers Paradise. Welcome to Horizons Holiday Apartments, your seaside home away from home in beautiful Burleigh Heads on the glorious Gold Coast. Our affordable Gold Coast family resort are spacious, self contained, and come with all you need for a fantastic break - from Wifi internet access to spectacular views of the hinterland and sparkling Pacific Ocean. 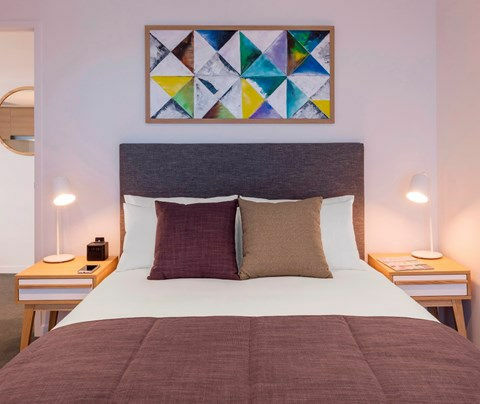 With a heated swimming pool, sauna, kids playground and games room, guests of all ages will find everything they need to relax and unwind right at their fingertips. 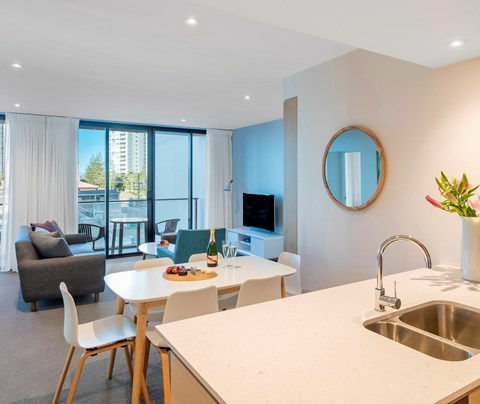 Situated just 50 metres from award-winning Burleigh Heads Beach and close to all of the Gold Coast’s most loved attractions, Horizons Holiday Apartments Burleigh is perfect for families looking to experience all that Queensland’s premier holiday destination has to offer. Excludes Easter & Christmas peak season, which is from 20th December to 15th January each calendar year. Some terms and conditions may apply. Deposit voucher must be surrendered to resort on arrival. quoting your Oceanroad voucher number. Take the short stroll to the golden sands of Burleigh Beach any time of day – it’s just 50 metres from our private beach walk! Wake up to dazzling Pacific Ocean views. Munch on a toastie, Aussie style, crisped up right in your own kitchen. Laze in the cool pool peeking through to the bustling street life below. AVANI Broadbeach hits the spot… with a location long favoured by locals for its 17 km stretch of beach, epic surf, and upscale dining and entertainment options. You’re only a few minutes’ walk from the G:link tram that takes you up and down the coast, to Surfer’s Paradise, Southport and beyond. Super spacious with everything you need to settle in and make yourself at home . 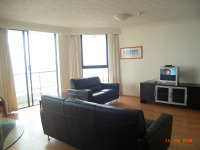 Located on the lower levels with full kitchen and laundry facilities in your suite. If you want to wake up, open your curtains and see the ocean smiling back at you, the Ocean Suite is a great choice. Soak in sunshine and sea breezes all day long. Located on the mid-level floors with stunning views of Broadbeach. Take me higher, you say? The Premier Ocean Suites are located on the upper floors of the hotel with sweeping views of the Pacific and coastline. Enjoy homey comforts,and high tech entertainment. Wake up with the sun as the ocean dazzles in the morning light. Enjoy a leisurely coffee and brunch before heading down to the surf. Enjoy your full kitchen . 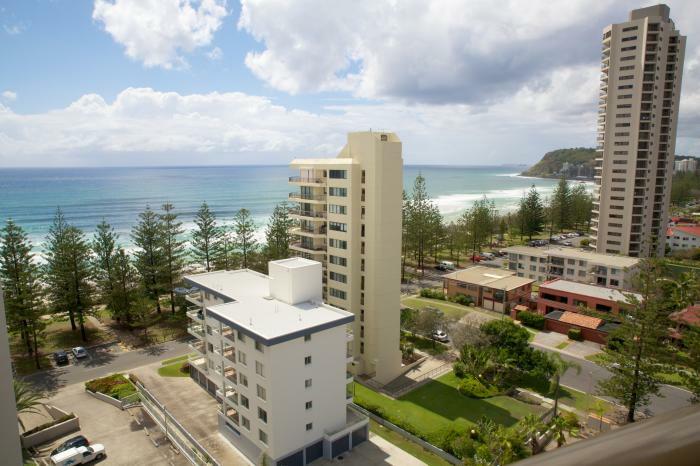 Located on the mid-level floors with stunning views of Broadbeach. Life at the top is beautiful indeed. Take in the endless coastline from your top level suite featuring airy spaces and modern comforts. Snuggle down for movie time in the lounge or your private bedroom.